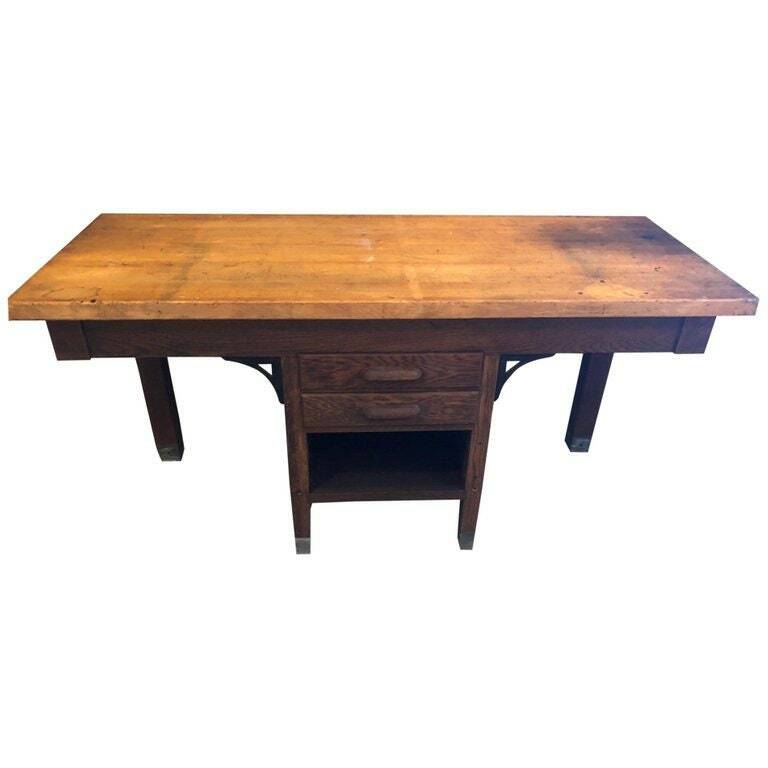 Original, antique oak workbench from school, factory, lab with space to add two swing out stools if desired (or any seat of your choosing). Could raise to counter height to use as island. Includes two drawers and storage cubby area. Stainless steel paw feet on legs. Thick maple butcher block top. Arts and Craft and Schoolhouse style. Note student pencil marks inside drawer. Classic! H 30.5 in. x W 60 in. x D 24 in.